Due to huge ticket demand, Daniel adds more performances to his 4th off-Broadway run at New York’s Soho Playhouse with his acclaimed new show ‘X’. Daniel’s 11th festival! He’s made a record 8 appearances on ‘Conan’, performed 3 solo Off-Broadway seasons, tours extensively to rave reviews across Australasia, USA, UK and Europe and has released 2 Netflix specials. 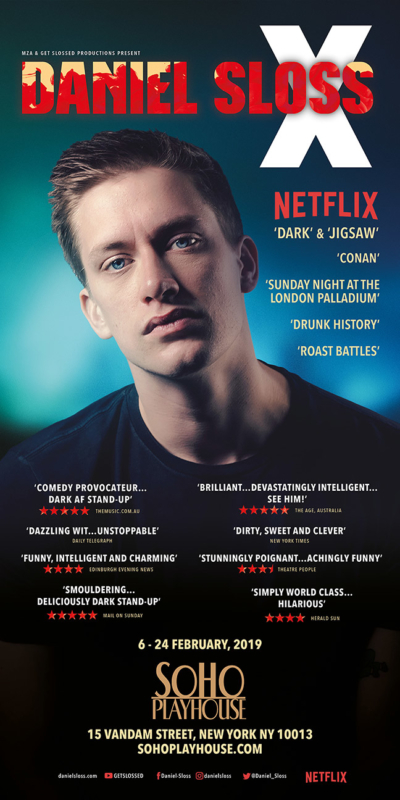 Daniel talks about bringing his 10th solo show to the Edinburgh Fringe, how his Netflix deal came about, and contemplates when he is going to die. His extensive 2018 Australian tour got great audiences and brilliant reviews. This one is from The Age, Melbourne. 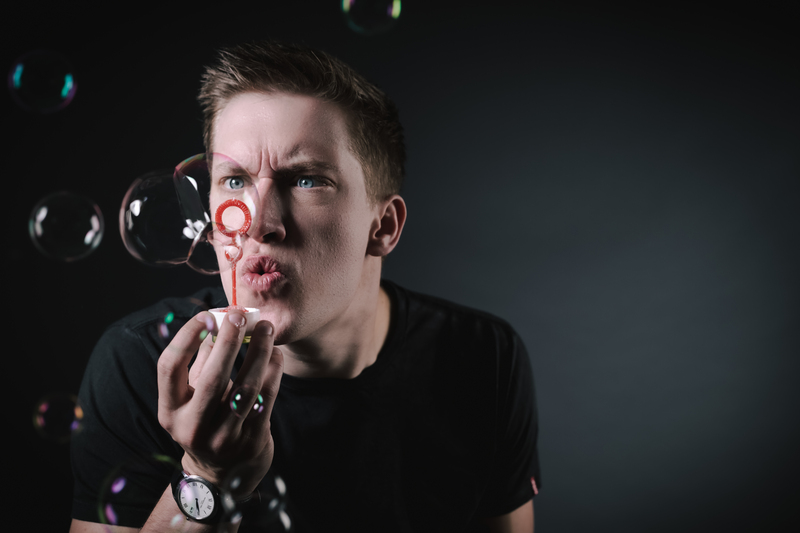 DAILY RECORD FEATURE: Scots comic Daniel Sloss on brink of international stardom after landing Netflix deal.